They are impressive, mystical and unique: with a total height of 380 m across three cascades, the Krimml Waterfalls in Salzburg’s Pinzgau are an overwhelming and very healthy experience. What explains our fascination for this grand natural spectacle and what secret healing power is hidden behind the masses of water? We shed some light on its history and tell you interesting facts about the Hohe Tauern Health initiative. A few facts and figures explain the tremendous force with which the waterfall unremittingly rumbles down into the valley. 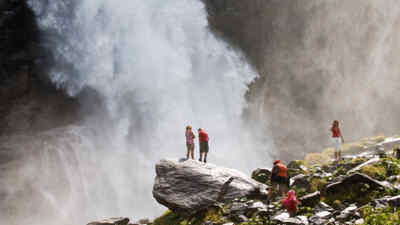 Let yourself be surprised and see the beauty and grandeur of the Krimml Waterfalls yourself during a visit! The phenomenal natural spectacle puts up 400,000 visitors a year under its spell! Guests come from all over the globe to marvel at the fifth-largest waterfalls in the world. For centuries, the water of the Krimmler Ache poured across the slopes without anyone paying much interest until the enthusiasm shown for the Alps in the 19th century and the development of Krimml by rail started to bring more and more tourists to the remote mountain region. The Austrian Alpine Association has to be thanked for the 4 km waterfall path leading from the lowest to the highest fall – wonderful views included. 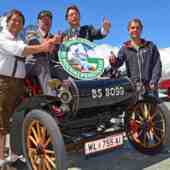 The Grossglockner Hochalpenstrassen AG set another touristic milestone by opening the WasserWelten Krimml. 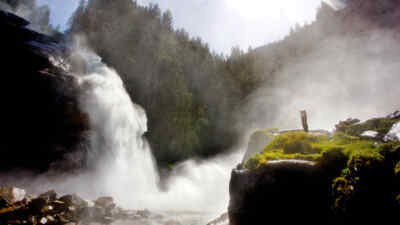 More on the history of the Krimml Waterfalls! While the healing powers of the waterfalls have been known for a long time, the first written document reporting them is just around 200 years old. 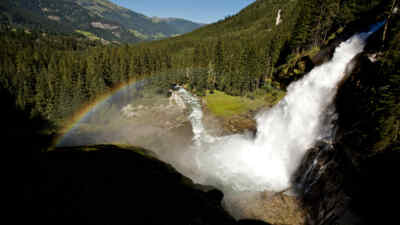 Today, it is scientifically proven that visiting the Krimml Waterfalls can alleviate or even heal numerous ailments. Bronchial asthma, allergies, stress-related diseases and ailments of the autonomic nervous system can be treated effectively with waterfall therapy. Not to mention the fact that exercise in the fresh mountain air and a daily programme with a conscious alternation between activity and recreation does wonders for absolutely everyone! 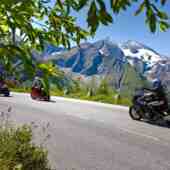 The Hohe Tauern Health initiative is dedicated to Krimml Waterfalls and health with numerous offerings for all ages. Yes, I’d like to find out more about the healing powers of the Krimml Waterfalls! • An average of 450,000 m³ of water plunges down the falls a day – that’s 5.6 m³ per second. • A person needs 2.5 litres of water a day to survive. The water mass of a single second is enough to supply 135,000 persons with this daily amount every minute. • In free fall, a drop of water covers 800 altitude metres in exactly 11.2 seconds. • The waterfalls are 380 m in height. Fine spray emanates from the masses of water hitting the rocks. • The cascades’ spume ensures abundant plant and plant life at the waterfall; the grassed areas are of intense green colour. • The spray contains millions of negative ions clinging to the smallest water particles: inhalation strengthens the immune system and alleviates asthma and allergies. 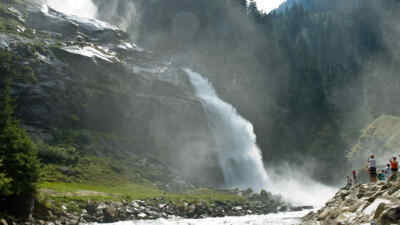 • The Krimml Waterfalls are subject to rhythmic tides during the course of the day and the season: the highest amount of water plunges into the valley in the evening when the midday melt water creates the “flood”. The waterfalls are bathed in sun at noon when it is time for the “ebb”. Additionally, glaciers segregate the least amount of water in the morning due to cold night-time temperatures. • The Krimml Waterfalls have been under complete protection since 1984 as part of the High Tauern National Park! Read now: the physical and spiritual power of water! 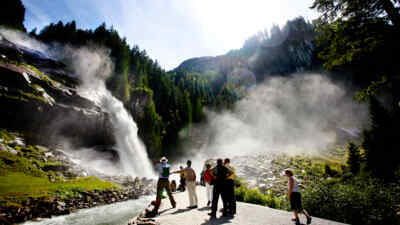 Experience the miracle of nature that are the Krimml Waterfalls during a daytrip to the WasserWelten Krimml! 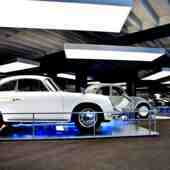 Find out more now about how to get there , the opening hours and prices . 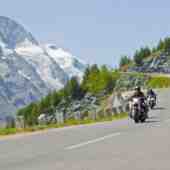 We wish you an exciting and relaxing stay in the province of Salzburg!